Erisa Karafili is a Marie Curie Fellow at the Resilient Information Systems Security research group (RISS group), Department of Computing. Her main research focus is solving different security problems with the use of formal methods together with techniques from artificial intelligence, knowledge representation, network security and social science. 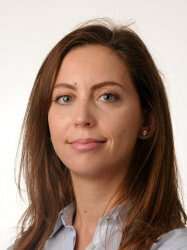 Some of the problems Erisa Karafili is currently working are: attribution of cyber attacks, secure data sharing, access and usage control in cloud and data rich environments, autonomous systems decision making, automated configurations of distributed firewalls, ensuring data quality, formalizing malicious agents behaviors, representing and preventing vulnerabilities for virtualized systems and IoT devices.